Adamson Life Celebration Home was founded in the 1930s. 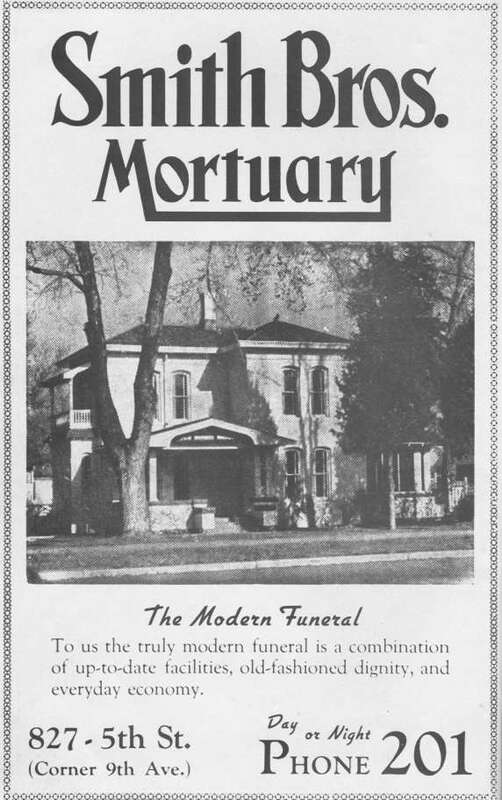 It was originally called Smith Brothers Mortuary when it opened on the corner of 9th Avenue and 5th Street in Greeley. The Smith brothers converted a vintage home, that was built in the 1890s, into a quality facility to serve the people of Greeley and Weld County. In November of 1948, Smith Brothers Mortuary was purchased by brothers, Ross and Reed Adamson, and the name was changed to Adamson Mortuary. Over the next three decades the business became a leading funeral service provider in northern Colorado. From 1949 until 1968 the Adamsons also operated the only ambulance service in Weld County and Ross Adamson served as the Weld County Coroner, from 1950 - 1978. In 1955, the Adamsons added a chapel to the west side of the original funeral home and a year later rooms were added to the east of the original structure for viewings and funeral merchandise selection. Both of the Adamson brothers have passed away. Reed Adamson died in June of 1981. Ross Adamson died in August of 2003. Both are interred at Linn Grove Cemetery in Greeley. 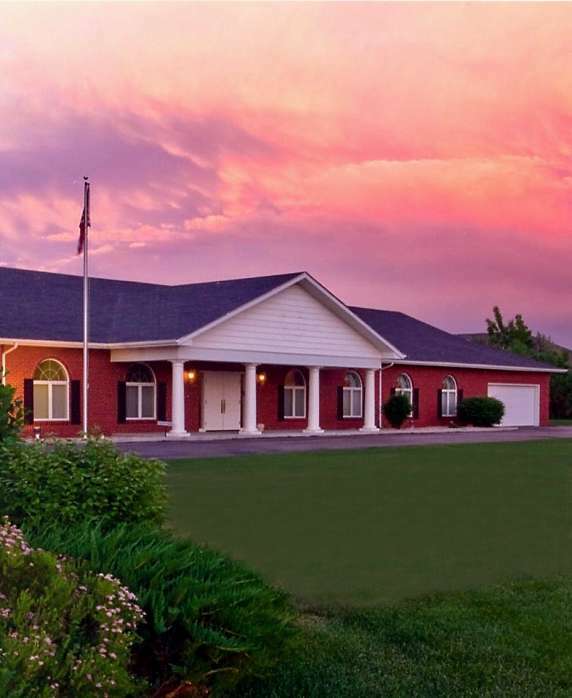 From 1982 - 2007 the funeral home was owned by Dugan Funeral Services, Inc. of Fremont, Nebraska. During that time the name of the funeral home changed from Adamson Mortuary to Adamson Memorial Chapels. 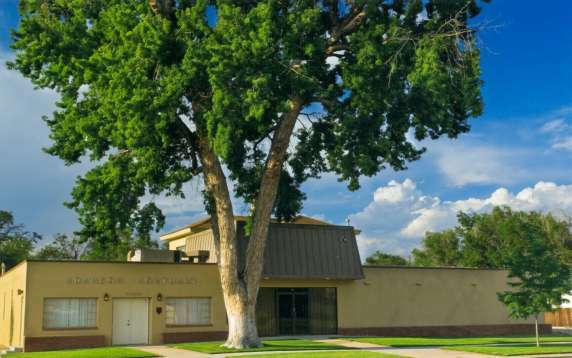 In 1985 the Bishop Mortuary in Windsor, Colorado was purchased. In the fall of 1998 a new facility was opened in Greeley's growing west side. The two Greeley funeral homes became known as Adamson Memorial Downtown Chapel and Adamson Memorial West Chapel and the Windsor funeral home became Windsor Memorial Chapel. In early 2007 the Windsor building was sold for non funeral use. Adamson continues to serve the Windsor community while future building plans there are not yet decided. In October 2007 John Seitz, manager of the three Adamson Memorial Chapels, purchased the funeral homes bringing local ownership back to Greeley. The downtown Greeley building was not included in that purchase agreement. By eliminating the added overhead of operating two locations and re-locating all services to the west Greeley location, Adamson continues to be an affordable option for all families. Also in 2008, the name was changed to Adamson Funeral & Cremation Services. Although Adamson had offered cremation services for many years, some were not aware that this service was available through the funeral home. Since including the word "Cremation" in the name, more families are using Adamson and are experiencing the high quality of care we have become known for. In December 2011 Jonathan Seitz, Adamson's business manager since the purchase in 2007, joined his father as co-owner of Adamson. Jonathan has been intricately involved in every aspect of the business including the original purchase. His appreciation for the Adamson history and his perspective as a young professional is a great asset to the leadership of Adamson both now and for the next generation. Another name change! In 2018 the owners of Adamson changed the name to "Adamson Life Celebration Home". This new name identifies Admason as the exclusive provider of LIFE CELEBRATION in Colorado. LIFE CELEBRATION (not to be confused with a "Celebration of Life" service) is a fully customised presentation of a person's life from begining to end. It is an inspiring multi-media experience to honor and remember the one who has passed, while providing the family with only and exactly what they want. Goodbye boring funeral services.